Rüsselsheim. 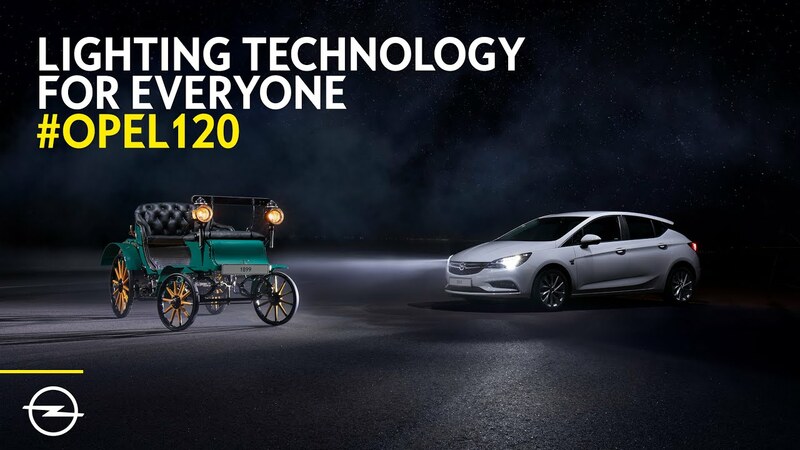 In 2019 Opel celebrates 120 years of automobile production – and thereby 120 years full of innovations for everyone. The German brand has a tradition of pioneering high-tech advancements and quickly bringing them to series production. This makes mobility affordable for many and the cars safer, cleaner, more comfortable and more practical. The motto “see and be seen” was already followed by Opel’s first car, the Patentmotorwagen “System Lutzmann” of 1899, as well as by all the other models that followed, from the famous Opel Kapitän, the legendary GT and the first-generation Insignia, to the current Astra. The IntelliLux LED matrix headlamps of the compact bestseller as well as the Insignia turn night into day. They will also start a revolution in the small car class when the next-generation of the bestselling Corsa debuts with adaptive full-LED matrix light. Opel will introduce the alternative of new Eco-LED light in future models, future reducing energy consumption while retaining light output. Opel is equipping all its models with the newest light technology. For example, the Astra, which combines top technologies with first-rate driving dynamics. They are complemented by assistance systems such as Hill Start Assist and Cruise Control as standard throughout the Astra range. The same goes for air conditioning and Solar Protect glazing. The “120 Years” version additionally features Park Pilot, front fog lights and 16-inch light alloy wheels as standard - all for a RRP of only €21,725.00 including VAT in Germany. And the optional bright-as-day IntelliLux LED matrix light ensures optimum illumination in every situation. The beginnings of automobile lights, on the other hand, were quite dark. What is today taken for granted in road traffic was still unimaginable over 120 years ago – instead lanterns were carried in front of the car. The primary intention was not to illuminate the road, but to be seen by other road users. At the end of the 19th century, the Opel Patentmotorwagen “System Lutzmann” went a step further. It also illuminated the surroundings with household candles, but no one had to carry them anymore. The candle now sat in a shaft above which the “headlight” was mounted as a glass container with mirror. A spring constantly pushed the candle so far upwards during the burning process that it could optimally shine at a consistent level through the glass. A simple solution for low cost with a major effect – in short, typical Opel. Opel also set trends in headlamp design early on. After all, the 1938 Kapitän was one of the first cars to help say goodbye to round lamps: the headlamps of the large Opel were not only fully integrated into the fenders, but were also hexagonal in shape. A car for everyone, a “car that belongs to the world”, according to a brochure from 1938. In other words, the Opel Kapitän “will remain a contemporary car for years to come thanks to its modern lines and progressive design”. In the 1960s, the shape of the headlamps continued becoming more angular. Opel led the trend with the 1964 Kapitän A, which together with its sister models Admiral and Diplomat emphasised a flat, wide look with rectangular headlamps. No wonder that the successful Kapitän models became real flagships: progressive, comfortable and powerful cars that one could afford. The Opel GT continued on this path in 1968, impressing not only with its completely new Coke bottle design – the legendary sports car for everyone was also the first German car with pop-up swivel headlights. Who could resist these affectionately called "sleepy eyes"? Via the lever on the centre console, the headlamps popped up. Halogen spotlights in the grille below the bumper also doubled as parking lights. The Opel Omega B was the first model to offer Xenon gas discharge headlamps as standard from 1998. They owed their name to the natural gas with which the lamp bodies were filled. Compared to the halogen headlamps commonly used at the time, the triple light intensity not only gave them a greater range, but also better illumination of the road. And they were much more efficient: Energy consumption was one third lower, heat radiation 40 per cent lower and service life longer. A dynamic headlamp levelling system was now also on board. This compensated for changes in body position – for example with a heavy load or during acceleration and braking. This resulted in the road always being uniformly illuminated. Once again, Opel pioneered lighting technologies that were affordable for a wide range of buyers. So it is only logical that Opel was the first vehicle manufacturer to bring dynamic curve light and 90-degree cornering light into the mid-size class in 2003 with AFL (Adaptive Forward Lighting) in the Opel Vectra and Opel Signum. The innovative Opel lighting technology combined dynamic curve lighting with a static cornering light for intersections and tight bends for the first time. 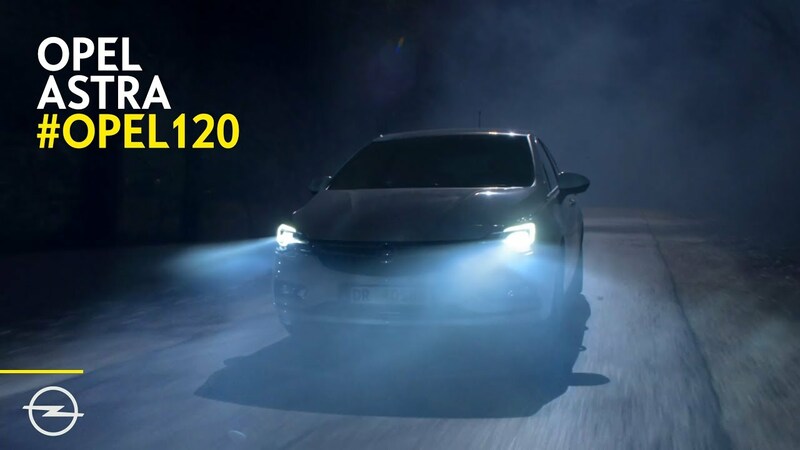 An additional comfort function of AFL was the Motorway Light: at speeds from around 120 km/h and constant straight ahead driving, the low-beam lighting automatically adjusted itself slightly higher and thus optimised long-distance vision. The now standard dynamic headlamp levelling system ensures that there is no glare for oncoming traffic. In 2004, the Opel Astra was the first compact model with curve light. In 2006, the brand democratised safety technology even further when Opel made curve and cornering light based on bi-halogen available for the first time in the minivan and small car segments in the Meriva and Corsa. The next light generation AFL+ based on powerful bi-xenon headlamps made its debut in 2008 with the introduction of the first Insignia. It set a new standard in the automotive industry. Using complex algorithms, the light distribution of the headlamps was automatically adjusted to the respective road profile and the prevailing visibility conditions. The modern Opel flagship offered a total of nine lighting functions – Town Light, Pedestrian Area Light, Country Road Light, Motorway Light, Adverse Weather Light, Static Cornering Light, Dynamic Curve Light, High Beam Light and High Beam Light Assistant. Another innovation in the Insignia was the LED daytime running light, which consumes considerably less electricity and thus fuel than daytime running light from the main headlamp. The ground-breaking IntelliLux LED matrix light was launched in 2015 with the current Opel Astra generation. Once again thanks to Opel, a feature that was previously reserved for luxury vehicles made its debut in the compact class. The headlamps of the compact class best-seller have a total of 16 LED elements (eight on each side), which automatically and continuously adjust the length and distribution of the light cone to any traffic situation and simply "cut out" oncoming cars and those driving ahead. So there is zero glare effect – with excellent visibility. Or as Opel brand ambassador Jürgen Klopp puts it: “It’s as bright as in the football stadium – but nobody is dazzled". How this works is quite simple: as soon as the car leaves the city limits, the matrix headlamps automatically switch to high beam mode and continuously adjust the length and distribution of the light cone. The state-of-the-art system turns night into day for drivers and passengers without disturbing other road users. IntelliLux LED matrix light is not only affordable, it is also highly sophisticated full LED lighting. For example, as not every Astra has a built-in navigation system, IntelliLux must be able to detect whether the car is travelling in an urban or extra-urban area. This works via the camera/speed interface. As soon as the speed exceeds 50 km/h, the camera checks where the car is at the moment. On a poorly lit road or in dark surroundings, the high beam automatically switches on. The system recognizes motorways and cities by their street lighting, among other things. In Motorway Light mode, part of the left-hand LED elements is permanently deactivated so as not to dazzle oncoming traffic. The Opel solution is thus the first matrix lighting system for a series production vehicle that continuously adapts to its surroundings without being coupled to a navigation device. Opel’s engineers not only want to optimize the driver’s view and reduce the glare for oncoming traffic. Another focus of development is the reduction of energy consumption while retaining the light output. While halogen light consumed around 72 Watts, the matrix light of the Astra needs only 32 Watts. When Opel introduces Eco-LED light on future models it will consume just 17 Watts. That corresponds to an energy saving of 76 per cent without loss of light output. Or 0.7 g/km less CO2 per car according to WLTP, thanks to Eco-LED light alone.